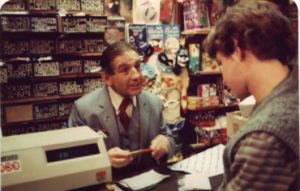 Learning card magic was very important to me as a professional magician, I was fortunate enough to have a wonderful teacher and mentor. In 1978, I began to take my studies in learning card magic seriously. I got Stars of Magic and Cy Endfield’s Entertaining Card Magic as a Christmas present from my mother. These two books made a big difference to me and my life. I loved the Cy Endfield book and made good progress mastering the material. The card magic is first class. One Saturday afternoon when Alan Alan closed his shop, he said to me, “I am taking you to meet someone”, “who” I said, “It’s a surprise”. Alan and I head down to Old Compton street, and walked into the very popular Valerie’s Patisserie. When we walked in Alan headed straight for an elderly gentleman sat to the far right, he was shuffling a pack of cards. Alan introduced me to Cy Endfield. This was a very special moment, I was in the presence of a man who would have huge impact on me and my life for many years to come. I was too shy to even say hello, I was in awe of him. All I knew about him was his book and his great card tricks. In time I would come to hold him in high esteem as a movie director of the film Zulu, an inventor, playwright and a brilliant sleight of hand card expert. I was 15 years old when I first met him. 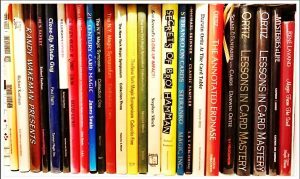 If there is one thing that has made a difference to my magic, it was meeting the authors of the books I enjoyed reading. I was able to see first hand what the techniques and routine should and must look like. Cy Endfield is a classic example of this. He showed me how his techniques could look invisible. I was stunned with his version of “The Diagonal Palm Shift”, his work on The” Hofzinser Change”. His routines were stunning, “The Escape of the Musketeers”, his sensational “Aces for Connoisseurs”. This last routine is so amazing, even the great Fred Kaps made a feature of it in his work. These routines you will not find on a video, DVD or download. These are routines you will only find in his book which is now difficult to get hold of, yes, it has become a collectors item. I am grateful to Alan Alan for this introduction because it gave me a baseline barometer for excellence and mastery. I knew what I was now aiming for. Why be mediocre when there is excellence as an option? I now find myself at 52 years of age doing for my students what the great masters did for me. I am giving my students the opportunity to experience the same inspiration I had through my seminars and workshops. I am proud to say that Cy Endfield and I became friends- a friendship that lasted until his death. He was very considerate, kind and inspirational to me. 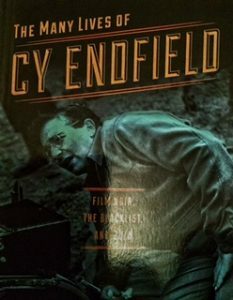 I am so happy that I was mentioned in his biography ” The Many Lives of Cy Endfield”, by Brian Neve. I learnt a little more about him and the challenges he faced in h life. To me, he was a great man and I loved him. To improve your card magic and experience some of the knowledge he shared with me apply to the Vincent Academy here. Right now, I am thinking of my departed friend and mentor Alan Alan. It was an extraordinary thing that he being Jewish and me being Caribbean/English would form a friendship which lasted until his very last breath, which was a painful privilege to experience. We spoke of Racism a lot, he was not shy about being vocal, we covered every angle of this conversation which impacted the lives of minority groups all over the world – not just black people. With him being Jewish, he understood the deal very well. While he was making a name for himself during 1940s, million of Jews were slaughtered. Conduct yourself with dignity at all times. Take Dance lessons so that you can become aware of your body, your spine, keep it straight and up right. I took Ballet, Contemporary Jazz and Tap Dance just to understand what he was getting at. Read the news papers – you will be entertaining people with far more important things on their minds than watching card tricks. You will be able to hold your own in any group because of your worldly knowledge. Travel, see the world – you will learn about things other than the tiny world of magic. The world of magic is just a tiny raindrop in the reservoir of life. Become a master of the craft, practice hard and intelligently. Learn the right way to do things before you start practicing, otherwise, you will become expert at doing it badly. Perform with style, class and dignity – you will render the audience COLOUR BLIND. After your show, they will have to deal with the fact they were fooled by a gentleman…………….Who is BLACK. I was 15 years old when he told me this. It’s his birthday next week, I will raise a glass to his memory. This is the beginning of my Alan Alan appreciation week. Leading up to the anniversary of his birthday, I will share a memory from the last 40 years of our friendship. This photograph was the last photograph I took of him. This was a few months before he died. If there is one thing about Alan I really appreciated, he knew how to front up for the camera. He was a master showman on stage and off, in fact, life and the world was his stage. His conduct was always impeccable. He passed on this maid set to all of us – Myself, Richard McDougall, Noel Britten, Chris Wood, Neil Russo, and Simon Drake. Is a joke shop owned by Alan Alan became the number one meeting place for many magicians around the world. I walked into Alan’s shop when I was 14 years old and it would become an environment more important to me than my own school. It was here that Alan told me stories of his adventures and shared many wonderful magic tricks. His shop counter was really untidy however it had character. You dare not pick anything up because it might explode. The counter was booby trapped with all kinds of exploding gimmicks, which looked harmless and natural. If you shook hands with him you got an electric shock. It really was a fun place. This is where it all happened, the jokes, the conversation and of course, the magic. I would be here after school and practically every Saturday, just listening to him talk. He was the first Magic Shop owner who took an active interest in me and the magic I was interested in. This level of participation is so different for young magicians today. There are a few shops around the world supporting magicians however, the power of the internet has had an impact on this. All I can say is, I am grateful for the time I grew up in; I would not trade it for anything. For now, I hope I have painted picture for you of what it was like being a young kid learning magic in the mid 1970s. I am grateful to people like Jake Evans, Duncan Trillo, Ken Brooke, Patrick Page, Ron McMillan and Alan Alan. They made it all worthwhile because, the magic was in the quality of the conversation. I am off another trip this weekend my friends, so I am sharing another Alan Alan story now for you to enjoy over the next few days. For those of us who knew him, Alan was the perfect mentor because he had been there and done it. 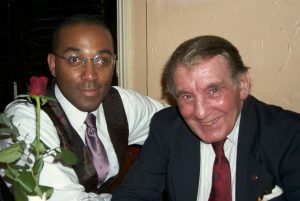 He formed connections with some of the greatest magicians and show business performers the world had ever seen. Us youngsters were privy to this knowledge. 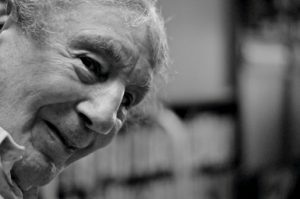 I love Tap Dancing and still practice today – imagine my surprise when Alan told me he worked with The Nicholas Brothers in Paris during the 1950s at the famous Olympia which also featured Charles Aznavour and Edith Piaf. 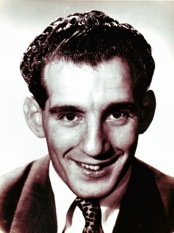 When it came to magicians, we heard stories about Cardini, Channing Pollack, Ed Marlo. In fact, Marlo introduced Alan to Slydini. I was thrilled beyond measure when Alan introduced me to Cy Endfield, Derek Dingle, Harry Lorayne and Slydini as an 18 year old. Read that last paragraph again. Alan never taught me single trick, he knew I could read and had the will, desire and patience to study, learn, practice and master the tricks on my own. He then became my artistic DIRECTOR. He directed my performance and self-expression. Now, consider this, most magicians have never had an artistic director of any kind. This is what I teach at The Vincent Academy. I am passing on what I have learnt from Alan and Slydini. How to stand, how to talk, the beats, the pause, the punctuation, the look, attitude, communication and mis-direction. Can you imagine a simple trick like Dai Vernon’s “Twisting The Aces” received such a treatment from Alan; it became a different experience from what we read in the book. Alan was really tough with me because he knew I was passionate about pure sleight of hand – he ripped my show to pieces. I had nightmares thinking I would never be good at magic. I worked hard to implement his concepts into my daring routines and technical masterpieces. The Cups and Balls took two years before I felt comfortable performing it – it took another 30 years for me to fully understand the concept behind the trick. Matthew Field will back me up on this; we did a long conversation about my relationship with the Cups and Balls for one of my DVDs. 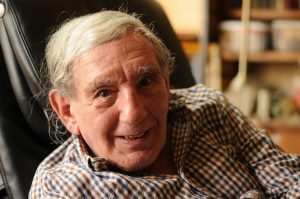 To wrap this post up, I just want to say, as this week leads up to what would have been Alan’s 90th Birthday, take a look at your magic and take one effect that you do well and ask yourself these two questions? 1. How can I make it better? 2. Why should the audience care? For now, enjoy this post, read it several times, I intend to bring Alan Alan back to life with these stories so that you can all get a tiny glimpse of what a privilege it was for us youngsters to be surrounded by his greatness.